Would you buy an alarm system from an online bookstore? How about organic produce? If you asked me that 20 years ago, my answer would have been no. But today, I’ll buy just about anything from Amazon. Although Amazon is currently one of the largest internet retailers (for just about anything you can think of) in the world, Jeff Bezos initially opened the company as on online bookstore in 1995. It took nearly six years for the company to turn a profit, and some early investors became frustrated at their slow rate of growth. Amazon eventually added digital streaming services and electronic reading devices to their product offerings. After years of growth and expansion, the company made headlines after purchasing Whole Foods Markets in 2017 and Ring Home Security in 2018, two companies unrelated to the “bookstore” world. Amazon has built a diverse portfolio of business lines, to say the least. 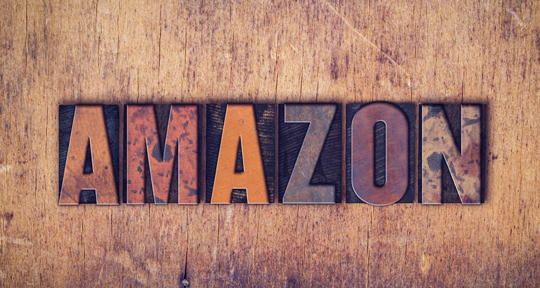 Although I often think of Amazon as an online retailer (which does account for the majority of their revenue), approximately 75% of their profits are generated from their Amazon Web Services platform – not retail. I find it baffling to think how Bezos and his leadership team had the vision and risk tolerance to move beyond his initial goal of creating the world’s largest online bookstore, and into the multitude of business lines they currently operate. As leaders, it is easy to become distracted with initiatives that are not essential to the core business lines of a company. For some leaders, this failure to focus can cause businesses to fail. Resources are misallocated and out of alignment with the mission and vision of the company. Then there’s Amazon. Jeff Bezos has turned Amazon into one of the world’s largest revenue generators, primarily because of his willingness to expand beyond the company’s original identity. As leaders, how can we differentiate between when we’re being visionaries and when we’re being untrue to the company’s core identity? I believe Bezos was focused – but not focused on selling books. I believe he focused on satisfying consumer needs, providing opportunities for businesses to connect with their audiences, and enhancing Amazon’s value proposition for their stakeholders. As leaders, what you choose to focus on is just as important as your actual ability to focus. I challenge you to think beyond the actual products and services you offer. Think about the experience you create for your stakeholders, and continuously strive to improve those aspects of your business. I believe this type of shift in your focus will empower you to enhance the effectiveness and viability of your organizations.